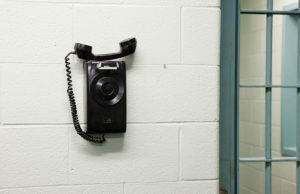 Families of those incarcerated have long complained about the high cost of phone calls from prison. A national campaign in 2015 pressured the Federal Communications Commission (FCC) to intervene, but the agency’s regulations have since been reversed by the Trump administration. In Illinois, the price of prison phone calls was just drastically reduced, making it much easier for Taylor and others like her to stay in contact with their loved ones. Just a few years ago, Illinois had the most inflated rates in the country. According to a renegotiated contract, the cost of a call from prison is now just under a penny a minute. Illinois is now the state with the lowest costs in the country. There are approximately 40,000 people incarcerated in 29 prisons operated by the Illinois Department of Corrections (IDOC). Among them is Flonard Wrencher, who is incarcerated at the Southwestern Illinois Correctional Center. “These days, there are longer lines for the phones,” Wrencher told Truthout over a phone call. In 2016, a bill was passed in the Illinois legislature and signed into law cutting the cost of phone calls from prison in half. Previously, a $4 call that lasted 30 minutes was then reduced to about $2 under the new bill. Shortly after the bill went into effect, IDOC renegotiated the Securus contract to include the penny-per-minute rates, further reducing such a call to about 30 cents. Previously, the state was collecting the highest rate of commissions in the country, at $12 million a year. Commissions are a percentage of the calls given back to the state as part of its contract with Securus Technologies, one of the nation’s two largest prison phone services providers. This practice, which activists call “kickbacks,” is common at many prisons and jails across the country. The bill campaign was led by the Illinois Campaign for Prison Phone Justice, a grassroots effort that brought together those incarcerated and their families with prison activists in Chicago and downstate Illinois. It was led by the Urbana-Champaign Independent Media Center, a community center established in 2000 as an outgrowth of the Indymedia movement following the 1999 “Battle in Seattle” World Trade Organization protests. State Rep. Carol Ammons, who is based in Urbana-Champaign and who began her political career as a community organizer working to reverse the local impact of mass incarceration, championed the bill as well. The new law took effect January 1, 2018, setting the price of calls at seven cents per minute. While the law capped phone rates, it did not eliminate the millions in commissions. The IDOC quietly took bids for a new contract, which was won by Securus Technologies. According to the renegotiated contract, which began July 1, 2018, rates are listed as $0.009 per minute, less than a penny. Additionally, commissions are no longer being paid out. Illinois is now the state with the lowest costs in the country, cheaper than New Hampshire and West Virginia. 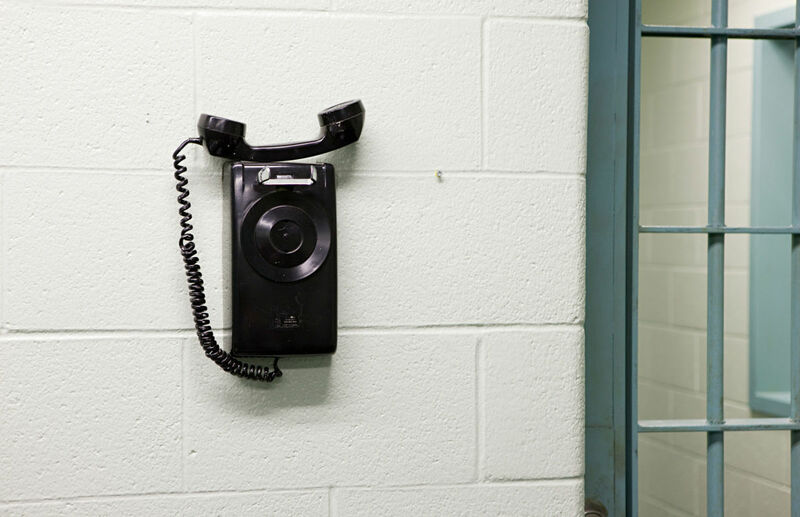 Other states have followed, passing legislation in recent years to lower the cost of phone calls from prison, but jails lag far behind. As a new study released by Prison Policy Initiative shows, most county jails across the United States still charge exorbitant rates; dollar-a-minute rates are still common. There are many opportunities for activists to confront the high cost of phone calls at the local level. Activists can learn from Illinois by involving those incarcerated and their families in campaigns to address the everyday impacts of mass incarceration. The people most affected can best articulate the need for regular communication between those on the inside and those on the outside for building strong, resilient communities. Why the prison system, however, relinquished millions of dollars in commissions is still unknown. Perhaps it was bad press to be extorting money from some of society’s most vulnerable families. Maybe authorities now believe that, as studies have shown, regular phone calls help reduce recidivism for those getting back on their feet after a period of incarceration. Joe Dole, an incarcerated writer and activist held in Illinios’ Stateville prison, said nobody there knew why the rates were lowered so drastically, but that they were glad nonetheless. Dole told Truthout there was a “rumor” circulating in Stateville that prisoners were supposed get tablets from GTL, the nation’s largest prison phone services provider, and Securus’s major industry rival. Wanting to “stay competitive,” Dole suspected that Securus offered the one-cent calls. Alan Mills, executive director of the Uptown People’s Law Center, which litigates for better conditions in Illinois prisons, questioned the IDOC’s explanation. “The idea that this was ‘spontaneous’ is misleading. The legislature mandated reduced rates, but in the end, it was the tireless work of grassroots advocates over more than two decades who are responsible for the IDOC rates being among the very cheapest in the nation,” he said. The state legislature was, no doubt, responding to growing national concern over private companies profiteering from those incarcerated and their families. This article originally appeared in Truthout on February 24, 2019. Reprinted with permission. This entry was posted in incarceration. Bookmark the permalink.